Career synopsis: At the age of only 18, Wiggins took the World Junior Pursuit Crown. He then went on to win bronze in the team pursuit in Sydney, followed by further bronze and silverware at the 2002 Commonwealth Games. 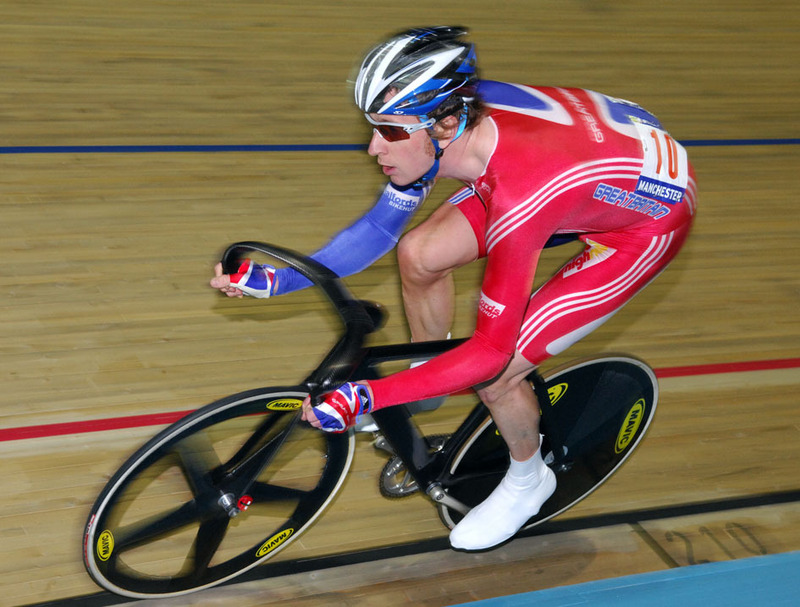 It was not until 2003 that Wiggins was finally crowned World Pursuit Champion. Since then, he has gone from strength to strength; most notably in 2008 at the Track Worlds winning Gold in the 4km Individual Pursuit, Team Pursuit and Men?s Madison. He has also forged a successful career on the road, taking several notable victories. Titles held: 2003 World Champion Individual Pursuit; 2004 Olympic Champion Individual Pursuit; 2007 World Champion Team Pursuit; 2007 World Champion Individual Pursuit; 2008 World Champion Individual Pursuit; 2008 World Champion Team Pursuit; 2008 World Champion Madison. Two things you didn?t know: Bradley started his career with the Linda McCartney cycling team before it folded and he was practicing on the 2007 Tour de France prologue course the night before the big day, but claims people were too inebriated to notice him!